The science of life is intricately tied to the flow of chemical energy. As a biochemist, you’ll dive into that world through research—discovering ways to maintain life and advancing new methods to save it. At SVSU, our biochemistry program and professors offer an education like no other. Here, you’ll gain confidence in laboratory skills, and you’ll learn from the success and failures of conducting your own research. Here, you’ll conduct experiments, track progress and present findings—not only at the regional level, but also on the national stage. Because at SVSU, the study of life is also a study of you and your passions. And our faculty fully support you reaching your goals—be they medical, research or teaching oriented. The biochemistry major at SVSU includes rigorous, in-depth study of organic and physical chemistry, quantitative and instrumental analysis as well as the principles of experimental biology in fields such as botany and zoology. At SVSU, we offer smaller classes and highly invested professors who train you not only in knowledge but also in advanced laboratory skills. As a Cardinal, you’ll discover there’s no better place to learn how to conduct your own research and to help differentiate yourself from the competition. Click to explore the full details of SVSU’s biochemistry program. During her time at SVSU, April Lukowski brought grit, passion and smarts to her studies and her community. From her Honors Program thesis to her work with the Saginaw Bay Environmental Institute, April looked for ways that her education could make a sustainable difference for the world around her. Years later, her hard work has paid off not only for the region, but also for her future. April earned a spot in the highly competitive Ph.D. program in chemical biology at the University of Michigan. April points the relationships she developed with faculty such as Dr. Tami Sivy, professor of chemistry, as critical in discovering her passion and her capacity as a researcher. Today, the story April started at SVSU has elevated her to the height of academic excellence. An SVSU education is about both lectures and experiences. As a part of the biochemistry program, students develop skills required in the labatory and, under the supervision of SVSU faculty, conduct their own experiments. At SVSU, you get an undergraduate hands-on education you will not find at bigger universities. Here, we equip our biochemistry students with skills that outpace all competition. Looking ahead to your future, be it medical school, graduate programs or a career in research, SVSU works hard to connect you to opportunities that help you stand out. There’s plenty of opportunities available at SVSU—join the Chemistry Club or be on a team that researches cultures in the Kawkawlin River! Many SVSU students aspire to enter the medical profession — and many achieve their goal because at SVSU we not only offer you goal setting and progress check-ins with our pre-medical adviser, we also connect you with elite in-hospital programs such as the Medical Scribes program with Covenant Hospital. SVSU students have interned with distinguished health organizations such as Michigan State and have been accepted at leading medical schools across the nation, from our backyard in Lansing to Nashville. 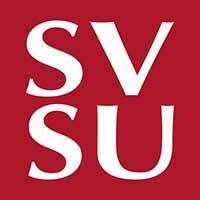 At SVSU you will find professors and opportunities to help you succeed in your pre-medical goals. Life is everywhere. And when you’re invested in the study of life and its processes, your knowledge and skills empower you to enter any industry you desire. With a 95 percent placement rate after graduation, SVSU connects our graduates with opportunities at the state and federal level of government, environmental protection agencies, hospital administration, biotechnology firms as well as careers in food processing, pharmaceuticals and university research. Click to explore the full range of careers that SVSU biochemistry majors pursue.